Information about the products is easily accessable. If you are curious about anything which goes beyond the provided info, please feel free to get in touch. Art by Sukhi strives for all paper products to be certified with FSC, PEFC, EU Ecolabel and to be inspected for Nordic Ecolabelled printing. This basically means support of sustainable harvest, strict regulations for water use and CO2 emissions. Any companies involved in the manufacturing process are selected on the basis of their eco awareness. When products are printed at the home studio it is always done with Xerox non toxic toner. 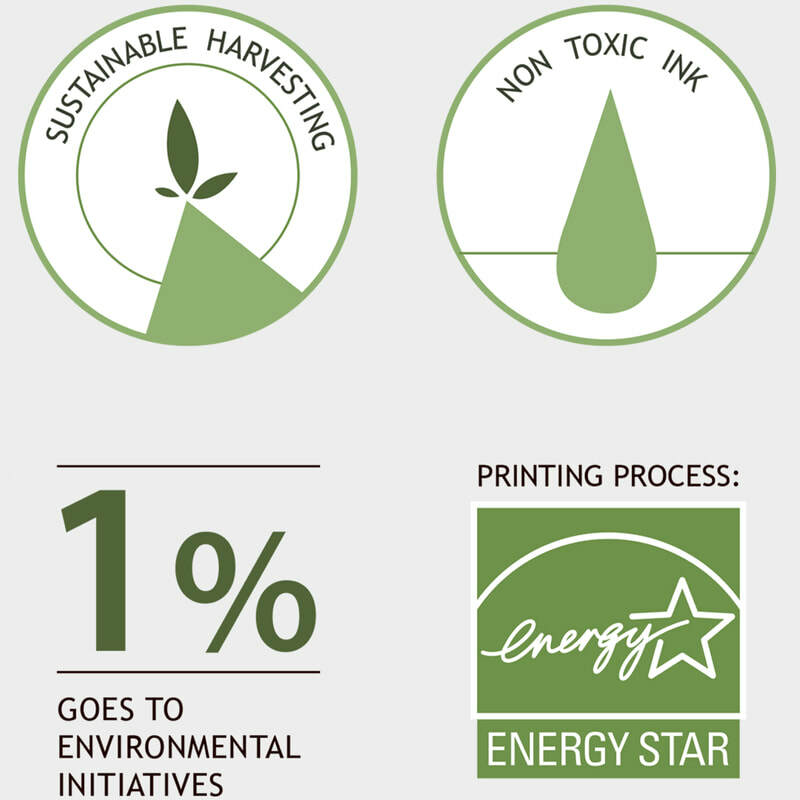 One percent of company profits go to environmental initiatives. Art by Sukhi emphasises the use of recycled and reused materials.